Since October 2001, approximately 2.5 million U.S. troops have been deployed to support Operations in Afghanistan and Iraq. 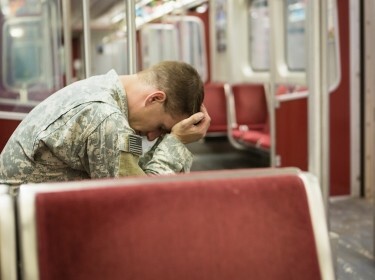 Research evidence suggests that many returning service members may suffer from post-traumatic stress disorder (PTSD) and depression. Traumatic brain injury (TBI) is also a major concern. In 2007, there was limited evidence about the scope of the problem or the most effective treatments. estimated the costs of providing quality health care to all military members in need. The work was funded by a grant from the Iraq Afghanistan Deployment Impact Fund Project, which is administered by the California Community Foundation, a nonprofit organization. The Invisible Wounds of War won the PROSE Award for the best book published in 2008 in the field of Clinical Medicine. The PROSE winners are named annually by the Association of American Publishers. Invisible Wounds of War was among 35 winners selected from 439 entries.